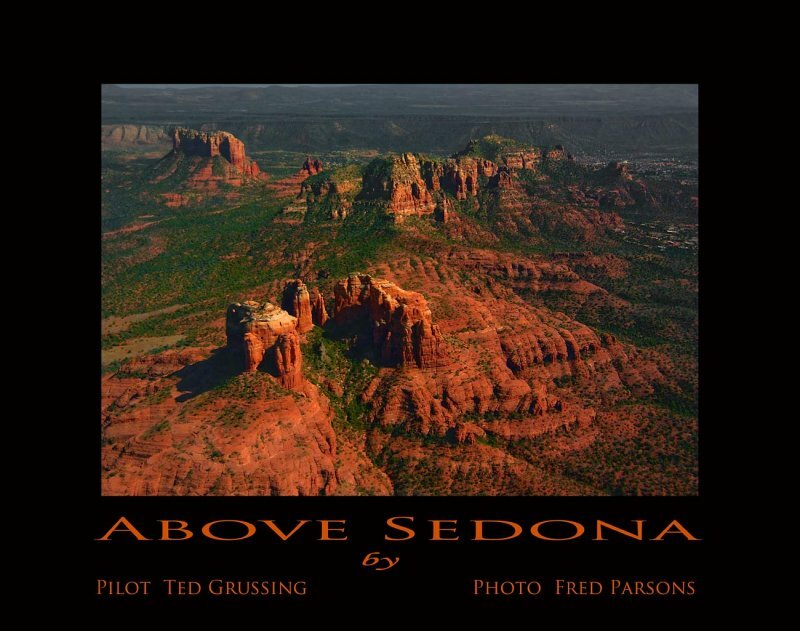 This image, and a few more to follow soon, have been captured primarily due to kindness and superb piloting skills of Ted Grussing. Ted is both a great photographer himself, and also a master at commanding a motor glider. Today was my first experience riding in such an airplane. Ted provided me with assurance and peace of mind with his vast experience, knowledge, preparation and professionalism. He served up a great flight, took me where ever I wanted to shoot, as well as providing suggestions as to how and where to get the best shots. Clearly a most enjoyable, productive and memorable experience. Seen below is Cathedral Rock and in the upper left, Bell Rock and Courthouse Rock. Excellent uncommon work! Great mountain scenery! Beautiful image, great colors and mood, Vote. Great shot Fred, it's quite hard I find it to shoot anything good from the air, things can become distant and flat. But this is awesome. Also a motor glider, must be such a thrill! I love shooting from helicopters, but this must be even more thrilling! Awesome image Fred! That must have been a thrill and a half!